Gov. Darius Ishaku of Taraba on Monday said that the state had the potential to produce 10million tonnes of rice, the annual demand of the country, with adequate financing and availability of modern equipment. Ishaku said this in Ardo-kola at a stakeholders’ meeting of the PDP’s delegates representing Jalingo and Ardo-kola. The governor noted that lack of sufficient funds had undermined the capacity of the state’s rice farmers to produce at an optimum level. Ishaku, however, said the state government was determined to support farmers in the state with farm inputs and improved seeds to increase their productivity. He said that Dominion Farms, owned by a Kenyan investor in Gassol, had been given six months to commence buying of paddy rice from out-growers for processing. The governor announced that the state government had bought hybrid seeds of Bennie seeds, soya beans and cassava and it would soon distribute them to its farmers. 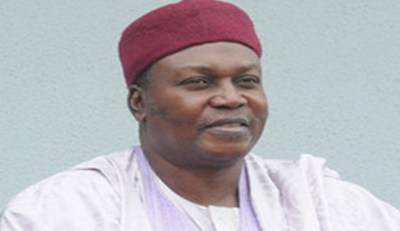 “When that is done, it will bring the total companies I revived to five out of the 25 companies that were in comatose when I took over,’’ Ishaku said. The governor said he was in Ardo-kola to thank the people for massively voting for him in 2015. “The best time to appreciate that support is now; since I have won all the post-election suits instituted by my opponents,’’ he said. Also speaking, the state PDP Chairman, Mr Victor Bala, noted that loyalty to party decisions was critical to the growth of party politics. Bala urged council area chapters of the party that could not garner adequate support for the party in 2015 election, to “sit up’’ as the 2019 general elections were approaching.